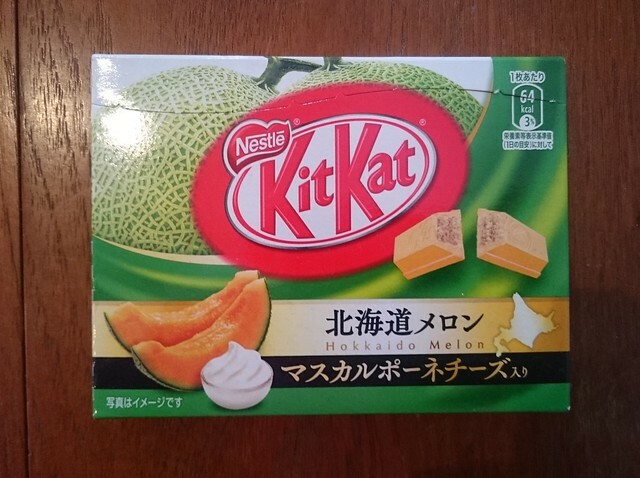 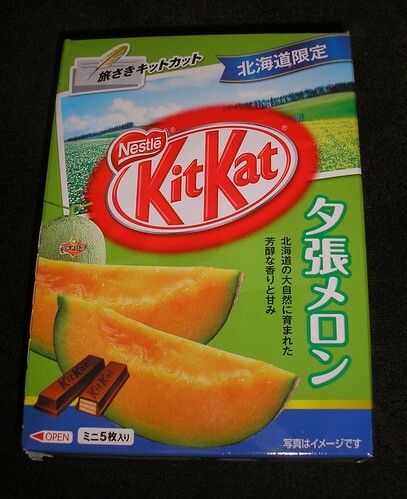 夕張メロン (Yuubari melon) Kit Kat Mail (Hokkaido) – New design! 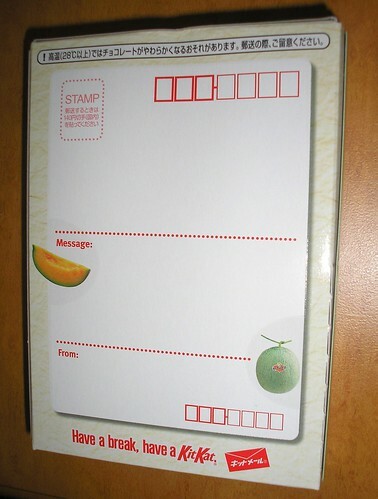 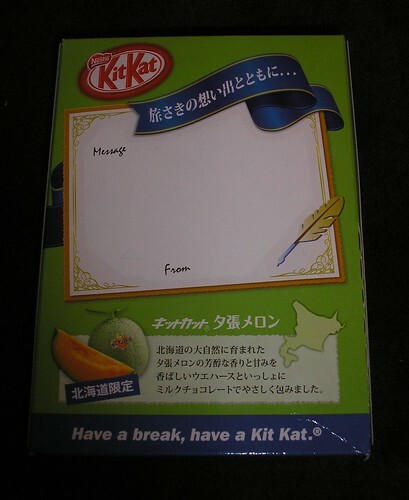 This is one of the Kit Kat packs designed for posting, so on the back it has this space for writing a message. 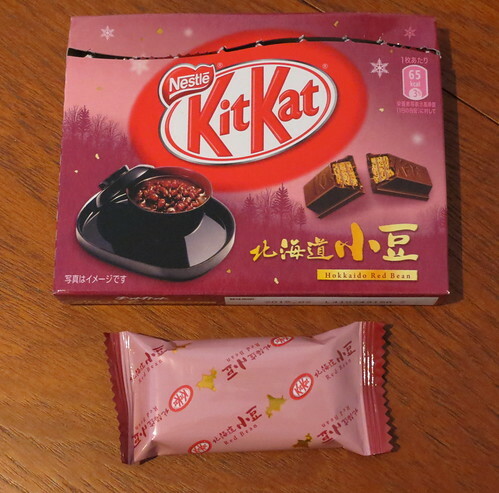 It’s such a cool design idea. 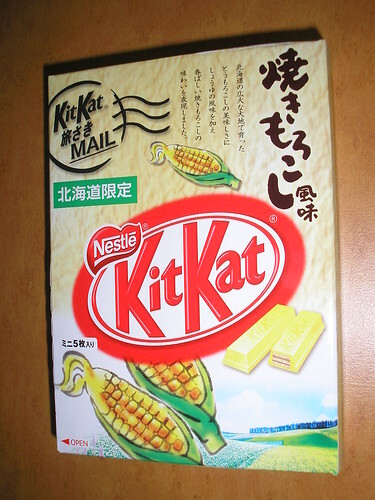 And here’s the second of my Hokkaido food market finds! 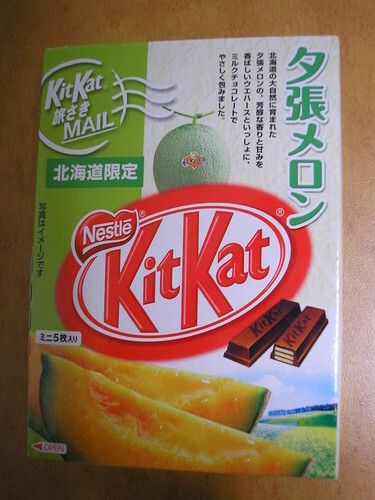 I have to say, when I first had this flavour in February I wasn’t so keen on it, but it was a bit better the second time round. 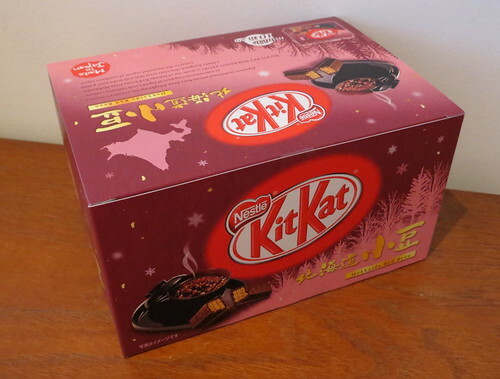 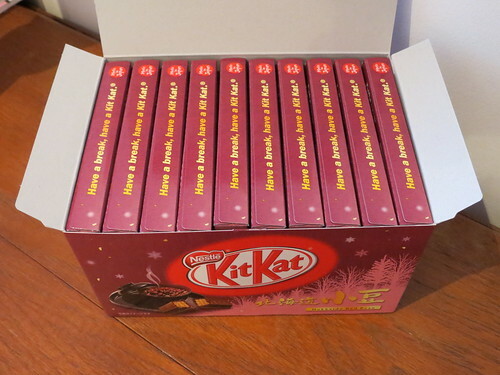 This is part of a new range of Kit Kat boxes which are designed to be like postcards. 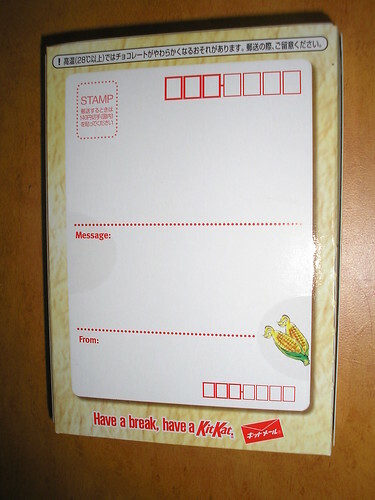 I think the idea is that you can send them as postcards/souvenirs when you travel around Japan. 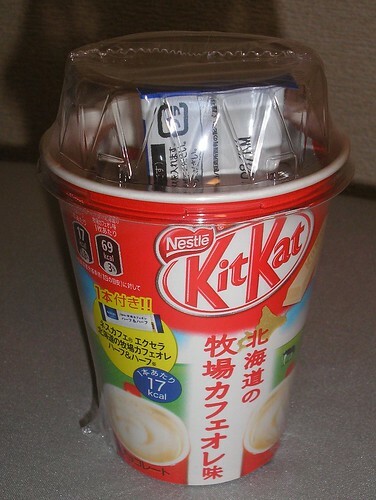 It’s a pretty neat idea! 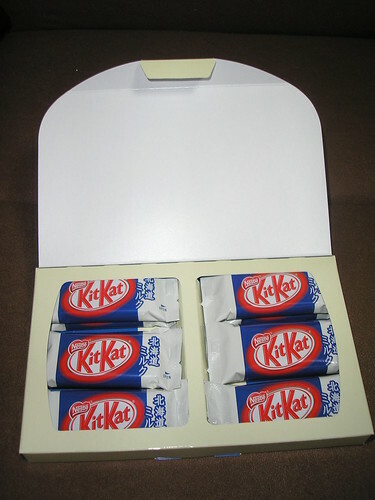 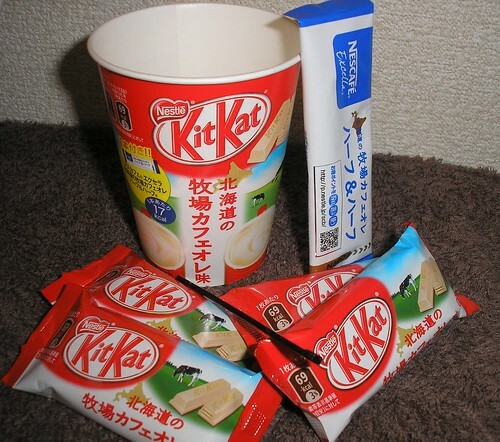 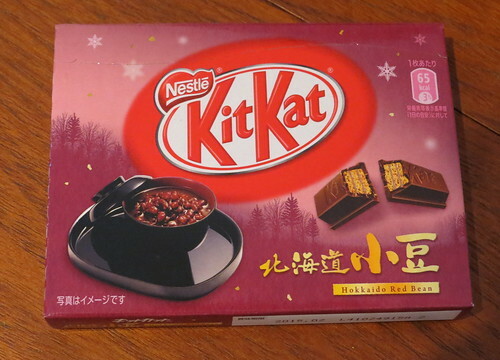 February 2009 – The last in the series of wonderful flavours from Hokkaido. 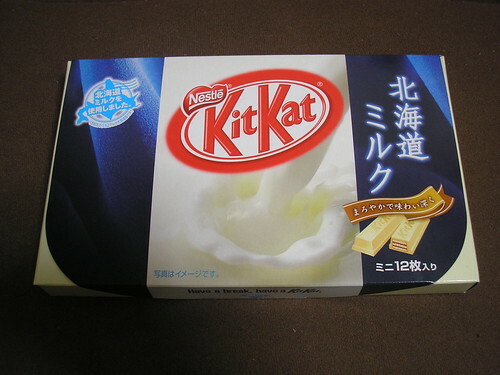 This milk flavoured Kit Kat was soooooo creamy and delicious!